I purchased my first eyeshadow quad in 2013. Although the Dolly Wink shadows are already vibrant and vivid, the shadow would always be gone from my eyes by the end of the day. 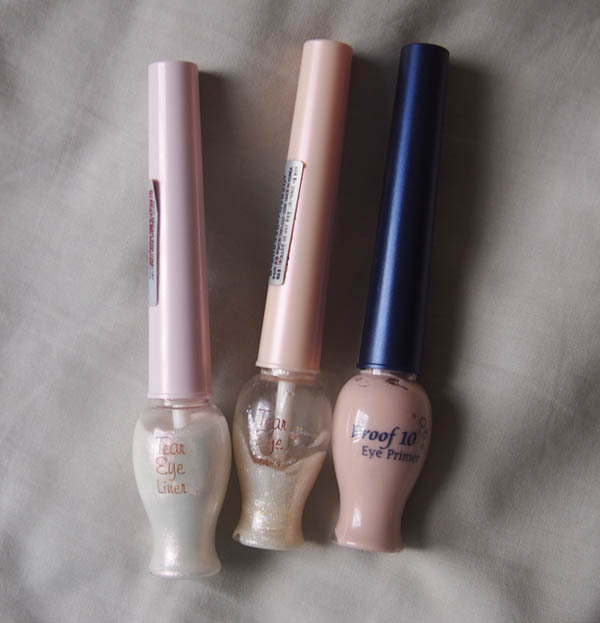 I came across lots of recommendations for the Etude House Proof 10 Eye Primer and decided to purchase it in early 2014. 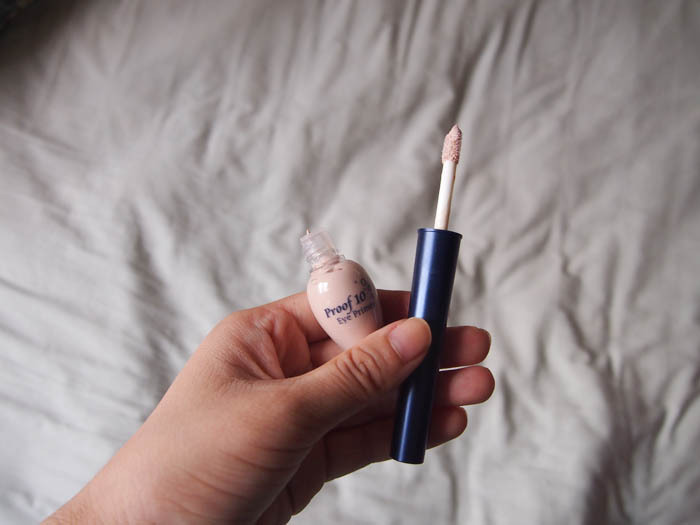 Many bloggers have said that the quality of this eye primer is on par or even better than Urban Decay's Primer Potion (which back in 2013, Urban Decay was not available in Australia). I believe the box, but not the product packaging, has now been updated. Directions: Use fingers to gently apply primer to upper and lower eyelids prior to eyeshadow application. Also applicable prior to eyeliner application. 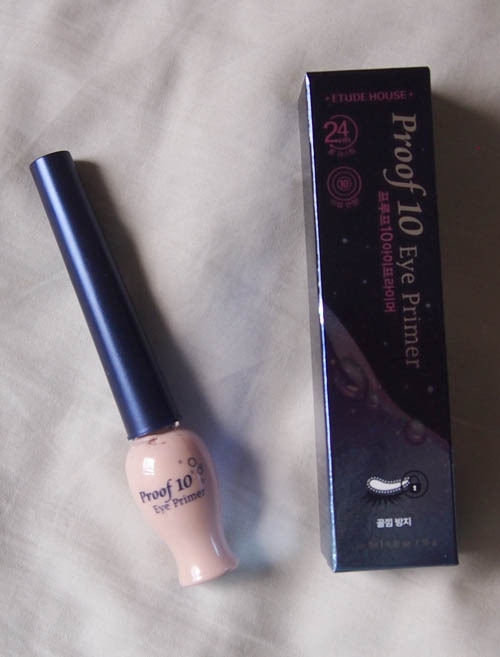 Proof 10 Eye Primer supplies coverage to eyelids and around the eyes to enhance eyeshadow color and integrity for a longer lasting, perfect 10 look. I am currently on my second tube of this eye primer and I love it! I find that you only need the tiniest dab on each eyelid to make sure that your eyeliner and eyeshadow to stay for at least six hours. The wand dispenses just the right amount of product for both eyes. I do not have oily eyelids, so I cannot say whether or not this primer helps stop the sliding of eyeshadow on oily lids. The only drawback is that if you do not blend in the primer well enough, it dries in that flesh-tone peach colour and you can see where you have or have not applied primer. Tip: There is still heaps of primer stuck to the rim of the tube, so if you are frugal like me, you can get a box cutter and slice through the tube in half, then collect the rest of the remaining primer and place it in a contact lens case to use up. I might give this eye primer full marks now as it ticks all the necessary boxes of performance and price, but I'm excited to go back and re-evaluate my judgment when I crack open that tube of Urban Decay Primer Potion in Eden next!